I understand you are one of the few practices in your area with the LipiFlow technology, can you tell us more about that? 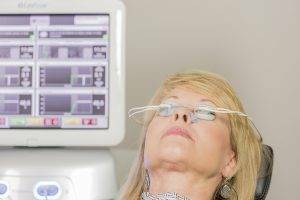 LipiFlow is a treatment for meibomian gland dysfunction (MGD). If we see that a patient has an obstruction of their glands…each person has about 25-35 glands in the upper and lower lid. 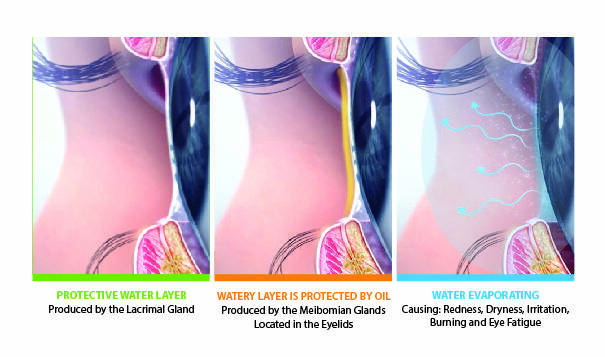 If those glands are blocked for any reason, then the production of oil in the tear is decreased. If enough of those glands get blocked, then this can cause some serious problems. Some of the new research shows that about 86% of patients with Dry Eye symptoms actually have MGD. Again, once we have diagnosed the glands are blocked, then we will use LipiFlow, the only FDA approved treatment for unblocking the glands. So far we have had some fantastic results from patients who have undergone the LipiFlow procedure. Is there anything else you would like your patient’s to know about Dry Eye? I want each patient to know that we are the fifth office in Houston to offer have the LipiView, which is part of the new LipiFlow technology. LipiFlow is the treatment, but we are actually using the LipiView as a screening for every patient who comes in, and this lets us view the glands and see if there is a problem. Many patients don’t require the full-blown treatment with LipiFlow, they may only require specific drops, or the heat mask. We really want to make sure Dry Eye or MGD is detected as early as possible and LipiView helps us do that for every patient. We want everyone suffering from Dry Eye symptoms to know they can come in and get the proper diagnosis and treatment. Relief is possible. Contact us today for your dry eye assessment exam.